Microsoft Dynamics CRM is an enterprise-wide CRM solution, that focuses on increasing a firm's ROI through sales, marketing and customer service modules. It is imperative to determine any issues that might hamper the overall availability of this solution as any case of downtime can adversely affect the firm's revenue. Applications Manager digs deeper into the Microsoft CRM environment, by monitoring performance counters, user transactions and event logs, to quickly uncover and rectify any issues thereby improving its overall performance and availability. By keeping track of the authentication counters, you can detect if a CRM application is under a denial-of–service (DoS) attack, or if there is some problem with the authentication service ,which may prevent a user from accessing the firm's data. 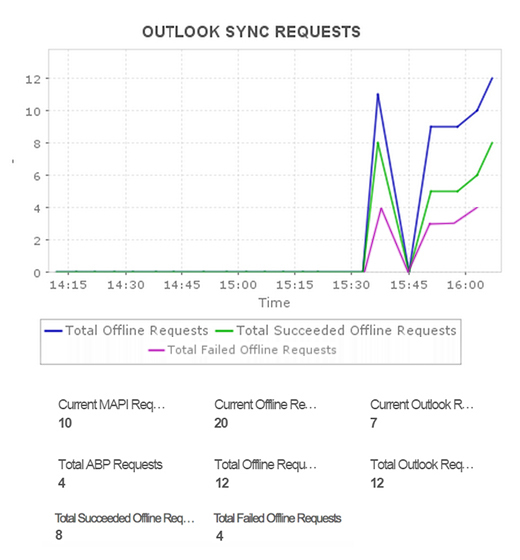 As users log on to Outlook to connect to the CRM application, you can measure the total, successful and failed offline sync requests, there by ensuring clients sync properly. Monitoring outlook sync helps to keep a check on the client load on the asynchronous processing service. Keep track of the status of incoming messages ( number of requests failed/sent via faulty channel to router) , number of time-out requests, to make sure that the router service is functioning properly. Measure message throughput to monitor email traffic and ensure proper utilization of mailbox storage. Microsoft Dynamics CRM web services allow external users to access critical CRM data involving customer, sales, marketing, and services. To make sure that this information is available to users, performance counter metrics like number of import requests, failed organization requests, failed discovery service requests, etc. are proactively monitored to ensure that the services are functioning optimally. In multi-tenant environments, it is critical to prevent a customer’s custom code affecting another customer account or the entire CRM platform. Monitor parameters like number of active plugins. 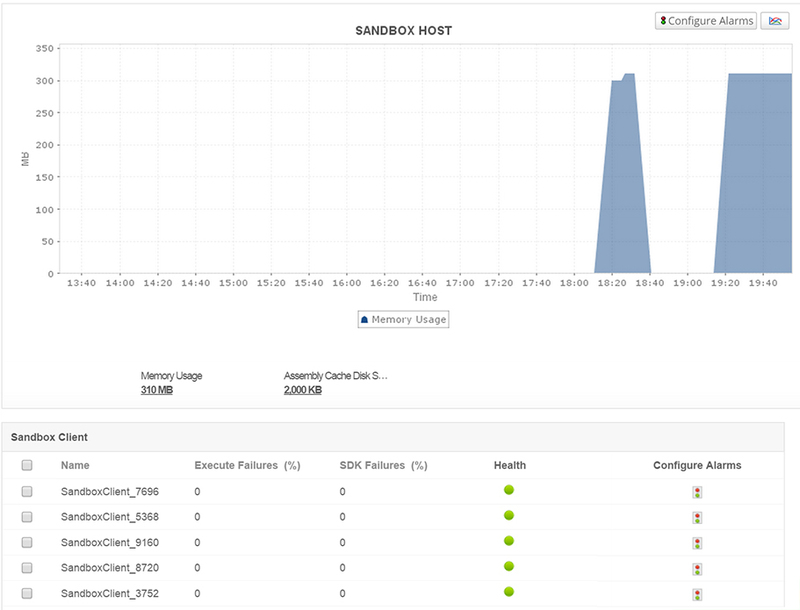 failed or terminated sandbox worker processes, cache usage, execute or SDK failures, to optimize the processing of isolated plugins. In Async service, a queue is maintained for periodically executing plug-ins ,workflows and bulk import operations. Get to know more about the queue details like operations failed, active organizations, number of threads used, etc. to tune workloads and optimize performance. 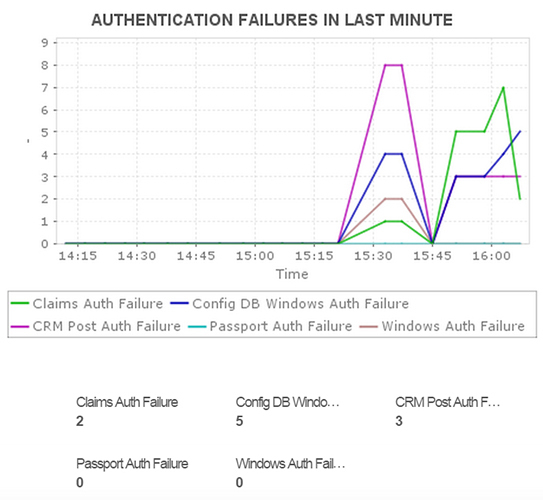 Manage logs across servers and application to diagnose errors in authentication, e-mail connection, e-mail router services, web services and more. Automate incident detection, and monitor the availability and functionality of the dynamics CRM environment to avoid any unplanned downtime.